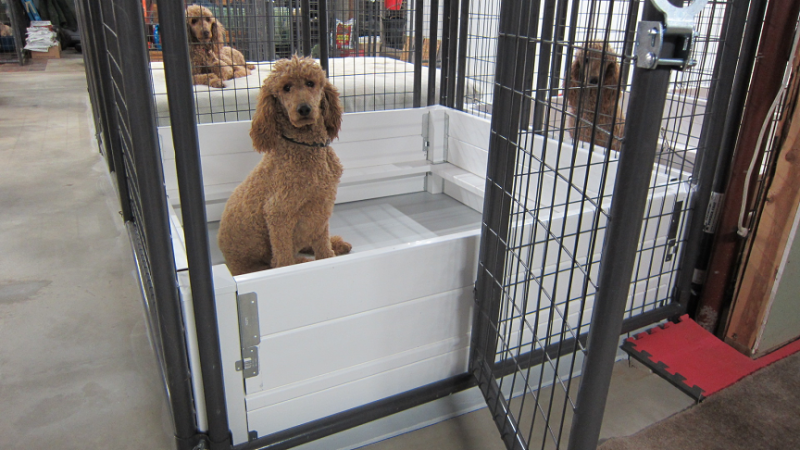 We have been working hard on a sprucing up the nursery for the puppies and expected mothers. And it looks like our girls are liking their new area. This is Nilsa, one of our girls. 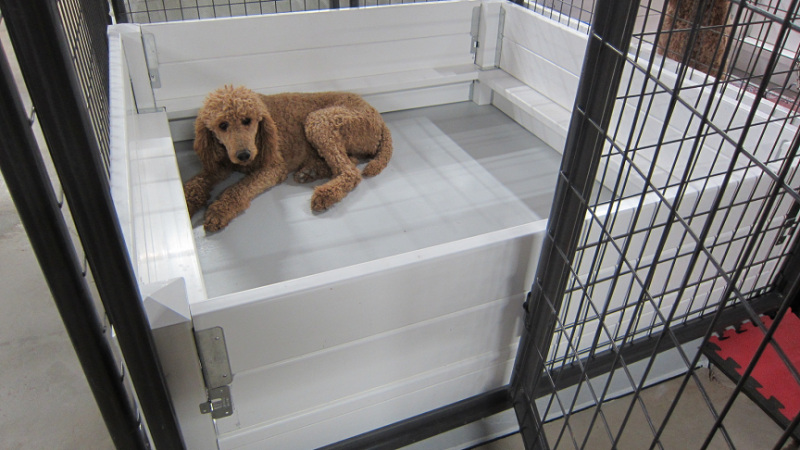 Whelping boxes are designed so you can remove 1, 2, or 3 side rails, thus allowing easier access into the whelping box. As your female gets closer to giving birth, and has turned into a "puppy bus" :) a lower threshold will sure come in handy. 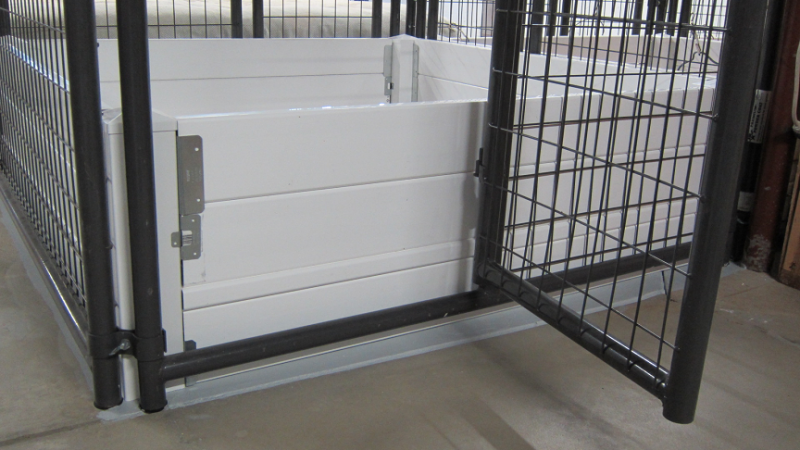 Removing the side rails is a simple task, and does not require removing any screws - just simply slide the rails out and set them aside. ABOVE and BELOW, show access with one (1) rail removed. BELOW shows access with two (2) rails removed. Our females never require us to remove the rails, they have no problem jumping in and out. 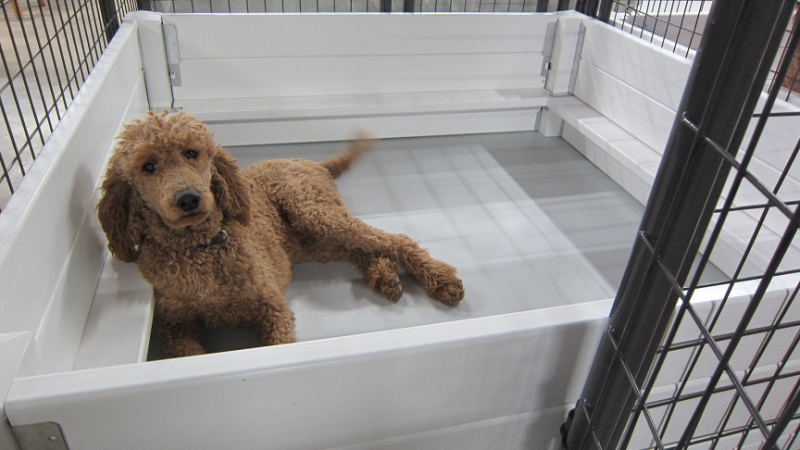 If you are a breeder and would like to order some whelping boxes, just send us a note. We can custom make them to what ever size you are looking for. 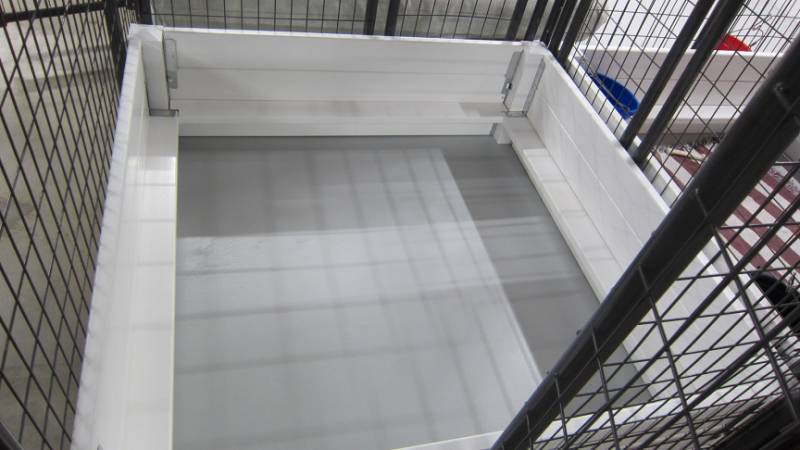 The length of the sides can be adjusted to fit all applications, even if the area is not square. 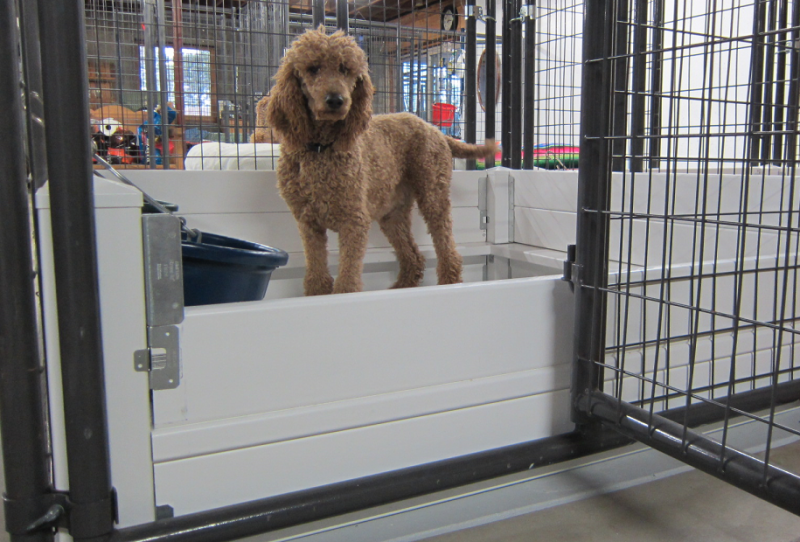 The whelping boxes are made from white vinyl, so that means they are low maintenace... no more painting or replacing wood panels. 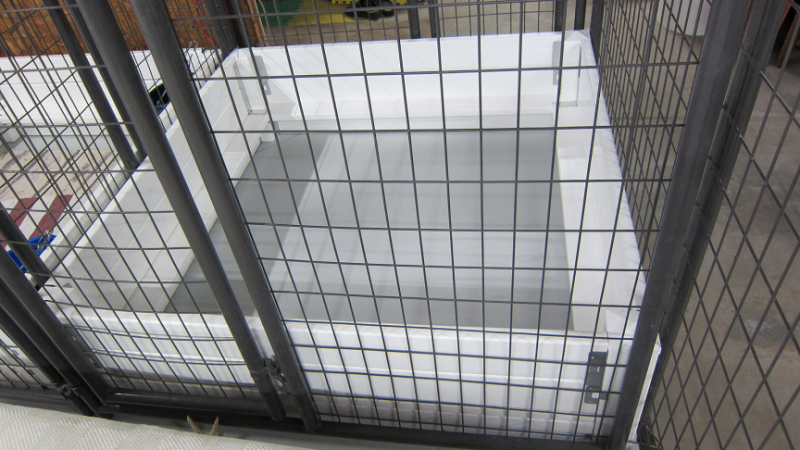 The whelping boxes shown in the photos are 5' x 5'. $625.00 plus shipping. All boxes are custom made to what ever size you need. 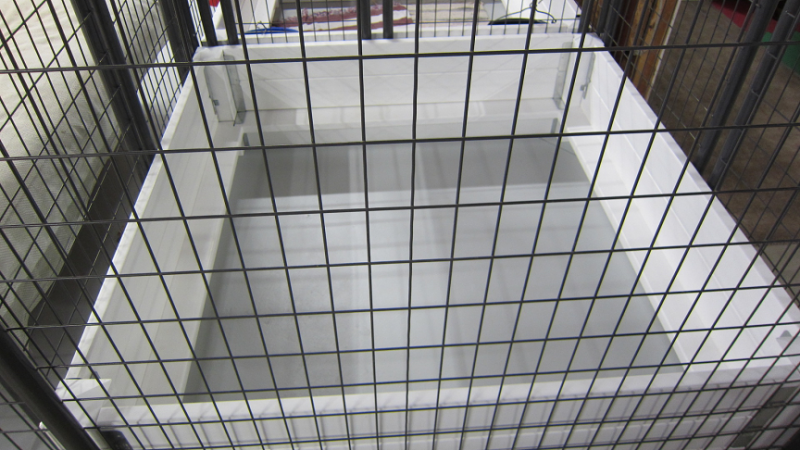 We also offer purchase of the four (4) corner posts. 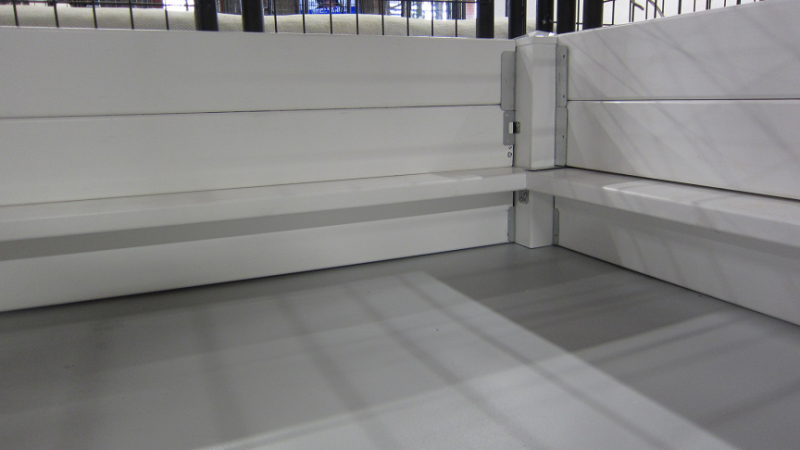 You can then purchase and cut the vinyl rails to fit your custom application. (this will save you $ on shipping costs) $375.00 plus shipping. Or, even another option. You can purchase one (1) corner post for $125.00. This price includes shipping, then you can use this corner post as a template and make your own. All parts are easy to find at your local Home Depot.